Free Shipping Included! 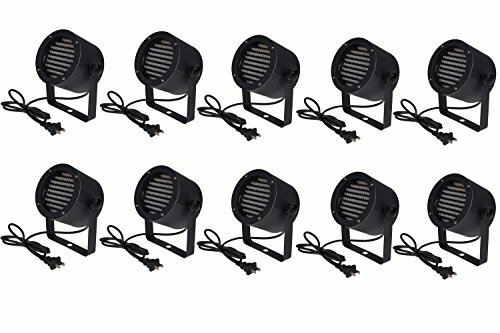 TMS 10pcs 86 RGB LED Stage Light Par Dmx-512 Lighting Laser Projector Party Club Pub KTV Dj by TMS at IGWT. MPN: StageLamp-QX-K(10PC/CTN). Hurry! Limited time offer. Offer valid only while supplies last. Features: Energy saving and low power consumption. Application: Decorative lighting. Simple plug and play installation. Sound activated programs and host slave synchronization. Modes: Color gradual change / color jump change / strobe / running speed adjustment. Great for club, DJ show, home party, ballroom, bands, etc.